Loved, loved, Loved this wonderful story. Right from the first page I was pulled right in. Rudd is such a brutal father and Rhyddes has to be strong to survive in her world. She is a fabulous character I loved from page one. Aquila's world is such an opposite to Rhyddes that it totally ramps up the conflict. A slave gladiatrix and a politician's son? An impossible combination, you may say especially in Ancient Rome. But the author writes a believable story and you can't help but cheer these two on. I didn't want to put this book down. The action sequences are well written and heart-thumping and the romance is just beautiful and the historical detailing is just well done. This is easily one of my favourite historical romances of the year. If you love historical romance, then this is a must read. As the Pict freed her weapon from where it had embedded in the ground, Rhyddes aimed the pitchfork and lunged. The tines hooked the warrior-woman’s sword, and Rhyddes twisted with all her strength. The Pict yelped as the sword ripped from her hand to go flying over the sty’s fence. Squealing in alarm, the sow lumbered for cover, trying to wedge her bulk under the trough. Wow, you sure loved this book. Great review! 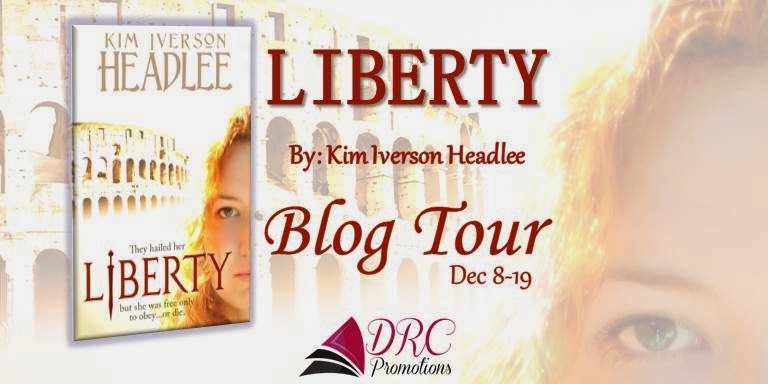 Thank you for such a fantastic review of LIBERTY; I'm glad you enjoyed it!